Piracy and counterfeiting prevent funds from being reinvested in research and resources, limiting progress in the field of medicine. Elsevier is committed to improving education, facilitating scientific discoveries and supporting the content and information industry. Find out how piracy limits progress in the field of medicine and how you can better identify pirated and counterfeit content. We are asking students, faculties and content providers to support us in identifying pirated and counterfeit content. By uncovering the hidden impacts of piracy, we want to promote a culture where people always buy genuine and support the future of science and medicine. The impact of piracy & counterfeiting isn’t always apparent. Have you ever wondered what the true impact is and who is actually affected? Selected Elsevier books are protected with a unique holographic security seal. 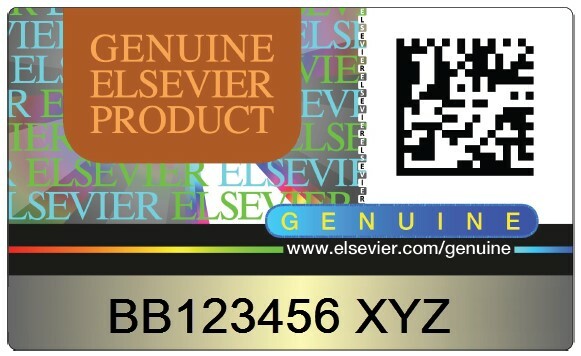 You can verify that you’ve purchased a genuine Elsevier book by entering the unique code that appears on your security seal below. The service is currently unavailable, please try again later. Please Note: This service doesn't work with Internet Explorer 11. If you are using Internet Explorer 11 please try with another browser. Two-tone GENUINE ELSEVIER PRODUCT indicator.